I must have my wedding photographer spidey-senses switched firmly on during my California road-trip, either that or California is (understandably) a top destination wedding location! 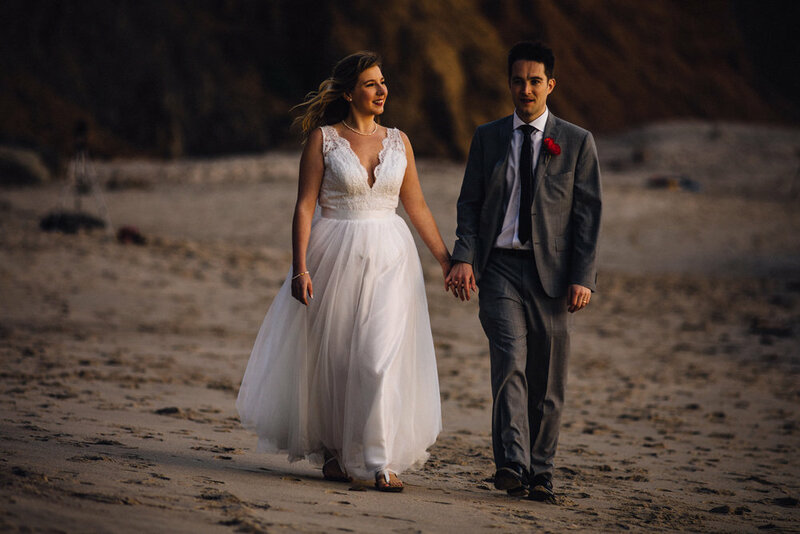 It was somewhat serendipitous that a last minute decision to venture to Pfieffer Beach in Big Sur for sunset coincided with Stuart and Chantell's post-wedding walk on the same beach. I spotted Chantell in her gorgeous dress from afar, and thought how funny that i'd happened upon another wedding being photographed in the same trip. As my walk took me closer to the newlyweds I realised that they were trying to take pictures of themselves on their own camera with a timer. As I walked past, knowing how tricky it can be to take your own photographs using a timer, I was torn between offering to take a few pictures of them - especially as I already had camera in hand and was photographing the sunset - versus would they think i'm a total weirdo! I plumped for risking the latter and introduced myself, explaining that I am a wedding photographer and that I couldn't just walk by and watch them struggling without offering to take a few pictures before the sun set completely! 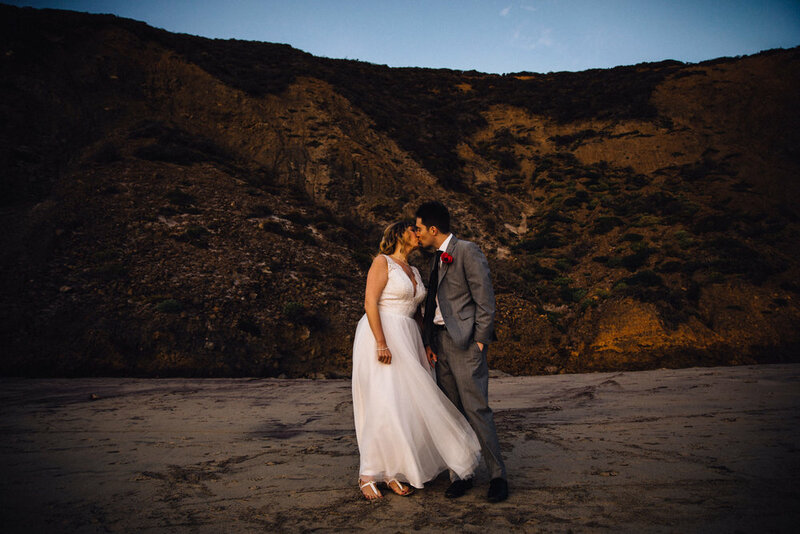 Stuart, originally from Australia, and Chantell, from Vancouver, had decided to have a destination wedding in California never having been to Big Sur before - and I have to say, what a great decision! This place is gorgeous, the light is a dream and I am pretty envious of all the Californian wedding photographers out there - what joy they must have knowing there is pretty much a guaranteed golden hour at a time of year when the UK is plunged into dark and cold! 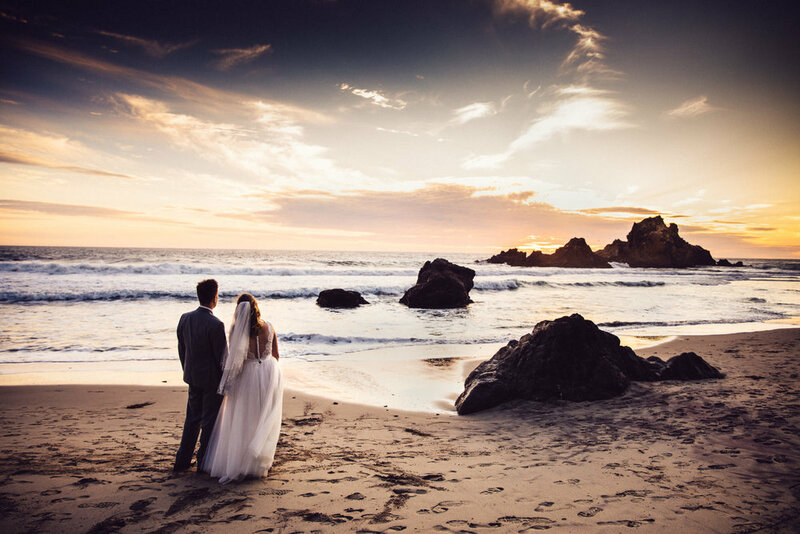 Congratulations Stuart and Chantell, wishing you both a very happily married life together (and hey, what a great excuse to return to the Californian coast for your anniversaries for years to come!!). If you are planning a wedding abroad and are looking for a documentary destination wedding photographer, then this Devon wedding photographer is very willing and able to travel to California, Canada, New Zealand, Singapore...anywhere in the world! Drop me a line and tell me your destination wedding plans!